Conveying trust to shoppers is critical to any online business, but especially to small businesses that lack the recognizable names and familiar brands of large retail chains. 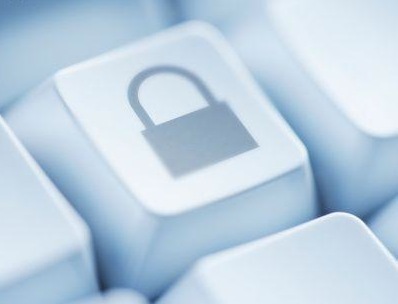 Thirty-five percent of online shoppers say they?re less willing to purchase from small, unknown e-businesses for fear that their personal information will be misused. So if you own a small online store, you?re starting out at a disadvantage because customers are weary of buying from you to begin with. The home page does not quickly tell you what the Web site is all about. You should be able to visit the home page of any Web site and figure out what the site is about, what type of products it sells, or what it is advertising within five seconds. The poor use of popup windows, splashy advertising, splash pages (pages with neat animations and sound but which you have to watch for five to ten seconds before you are taken to the real Web site), and other Web design features that draw interest away from your Web site, products, and/ or services. Almost every business these days needs a good website. Some can be just informational websites about your brick and mortar business, or they can be sales sites that represent the whole business. Web design is costly, and most small businesses or internet businesses just starting out are hard pressed to put out that much cash. The other drawback is that too often your web page is so complicated that you can’t update your own information, and the technical support is too slow to help in a timely manner. There is nothing more aggravating than not being able to be in control of your own web page! 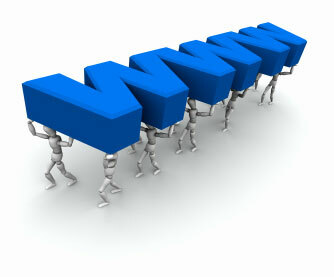 Wouldn’t it be great if you could make your own website and have the best economical web hosting? Think of the money you could save, and then the money you can earn from your website. Read below to find out about the top site builder and best economical web hosting. Bravenet offers free web hosting, and for a small fee offers pro web hosting. The free web tools are amazing, and include message forums, blogs, mailing lists and so much more. Two fantastic features are the speaking characters and the hit counters. You can make your own avatar to guide people through your website, or tell them about your products. This personalized feature will make the difference in distinguishing your website from others. The hit counters come in several different formats and are super easy to put on your site. The ability to spot a fake wholesale distributor can save you a lot of time, money, and trouble. There are many things to look out for when sourcing products from a potential wholesale distributor. If you are trying to find a wholesale distributor for your home business or just looking to add new items to your catalog then you need to be on the watch for the certain signs of a fake wholesale distributor to avoid disaster. If you found your wholesale distributors? website in a major search engine chances are that they are not a real factory direct source. The reason why is that most of all wholesale distributors do not have a budget to market their products over the web. They have contracts with large companies they ship products to regularly. They don?t need to spend money on marketing their products because the company that made the products will handle all the advertising. A wholesale distributors? only job is to warehouse the products they receive from the factory and ship them out to the companies who are buying them for resell. It does not make any sense for them to spend money on marketing the products they have. This is why if you find a huge website full of products for resell, chances are it is a middleman buying the products in bulk, marking up the price a little bit, offering a drop shipping service to you, and getting you to do all the hard work for less money. Branding is an incredibly important concept in marketing. When you think of brands, you probably think of ones like Nike, Disney, Apple, and many others. The truth is that you’ll have a brand as well. If you aren’t building this brand, you need to do so. One of the best ways to do this is to utilize your list. You can get the word out there about your company by having your list members share content with their friends, or even forward your e-mails to other people. The more people who come in contact with your content and your business, the wider your brand spreads. For information on the best online email marketing tips and reviews on some of the best guides to targeted email marketing campaigns visit www.1amazingincome.com now and see how you can add an email marketing solution to your internet marketing business. After you have created your squeeze page, you’re probably very excited to start getting opt-ins to your list. Make sure you have selected a good autoresponder company that will keep track of your e-mail open rates and be very reliable for you and your list members. Once you have the technical aspects squared away, it is time to start driving traffic to your squeeze page. If you do not have “eyeballs” on your opt in form, you won’t get any signups! This might seem silly, but many marketers spend a lot of time setting up their squeeze page and expect the leads to just start trickling in on their own. This just does not happen! You need to put a lot of time and effort into driving traffic before you start to reap the rewards. Are you interested in using eBay to shop online? If you are, you are good not alone, as eBay is one of the abundantly popular online marketplaces. over you likely already know, eBay is an online auction website; an online auction website that allows internet users to doorjamb items that they have reputation their possession, but not longer want or need, due to sale. While this tends to grant you a large number of products to choose from, substantial can make getting scammed on eBay relatively easily done; however, there is a way that you cannot fall pigeon to some of the very common eBay scams. You may also play addicting games online free of cost to divert your attention.